The child of two "former" adventurers who… okay, no, not really "former". They can't settle down and can't really do anything else. They're pretty famous in the right places, though: Gabriel Highland has some fame as one of the finest swordsmen of the continent, and Katerina Leòn is… infamous as an endless source of collateral damage. The pair DID topple evil tyrants and such, but all in all, the public perception of the pair is not really as a force for good. Still, it is certainly an impressive one. Mira grey up with them, and on several occasions with relatives of the two whenever they had to go and do "something dangerous" (which was distressingly often). Her earliest years were spent being home-schooled, often in absence of an actual, you know, home where to do the schooling in, as the party was often on the road. Mira never had a chance to grow up and make friends of her age, and never had much… "stability in upbringing", as a child psychologist would say. Instead, she grew up with parents, their families, and the many oddball adventurer-type people that they knew and often journeyed with. She is therefore accostumed to travels, and to the strange and unusual. Ironically, being in one place for a long time and sleeping under the same roof for more than one month is kind of a new experience for her. Growing up amidst business-minded adventurers, Mira isa very practical, down-to-earth, no-nonsense child, wise beyond her years in certain subjects (such as dungeon-crawling and economics) and still terribly inexperienced in others (such as interpersonal relationships). Despite this, she is a bright and cheerful, if a bit oddball, child, who makes friends with ease. As if often happens, the son (or in this case daughter) never wants to grow up into the same job his (or her) parents did. And, well, you can hardly call adventuring a "job" (even if it pays well). Do you know what job pays better than that? Being the owner of the shop full of expensive items where the adventurers eventually go and spend all those ancient gold coins they find in them dungeons. Mira has inherited her father's bright, golden hair, and her mother's slender and petite (never say "short") build. Her complexion is rather pale, going well with her hazel eyes. 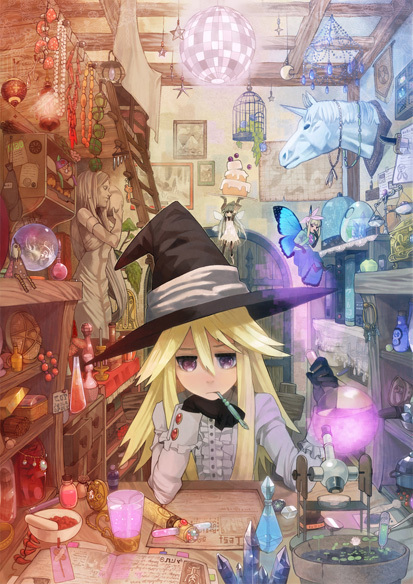 Fashion-wise, she likes to dress rather elegantly whenever possible, and has a thing for gloves, neckties, and hats.